Access to this article is limited to Idaho Statesman subscribers. This article originally appeared in Boise Weekly on September 15, 2010, and is reprinted with permission. When James Coberly Smith retired in Boise a couple of years ago, he picked this city in part because of its music scene. He felt he could pursue his own singing and songwriting, as well as be around other musicians he could learn something from. What he was most interested in learning from them, however, was not how to play–Smith is an accomplished guitarist in his own right–but local musicians’ motivation behind their own music, specifically their songwriting. He went to Treasure Valley Community Television, got himself a time slot and invited a handful of musicians to come in and, on camera, answer Smith’s questions about their songwriting method and play a song or two. What Smith now has is 10 episodes of Boise Song Talk. Each show was taped on a relatively sparse set with wooden chairs and a table he brought from home. A painting that sits center stage between Smith and his guest (see above) was one someone did specifically for his show. Smith starts each episode playing a few notes on his 12-string guitar. He then poses a rhetorical question: “Songs. What are these songs? Well consider this.” He sings a few bars of something–say, “Unforgettable”–with his left hand held out like Lady Justice’s scale and then holds his right hand out in the same way and sings something he feels is the tune’s total opposite, like “Wild Thing.” Smith finishes by saying, “Completely different songs, but they both work.” Smith, a cheerful, talkative guy introduces his guest, the camera pans to him or her, and for the next 20 minutes or so, Smith asks his guests what makes their songs work. And he does ask them to perform at least twice. Smith said he’ll wait to see how the show is received before taping any more, but for now he has interviews with well-known locals Andy Byron, Dan Costello, Jeremiah James, Dale Keys, Kelly Lynae, John “Johnny Shoes” Pisano, Bernie Reilly, Rebecca Scott, Travis Ward and Ryan Wissinger in the bag. Based on only one episode, the show could come across as a platform for Smith to get exposure for his own music. 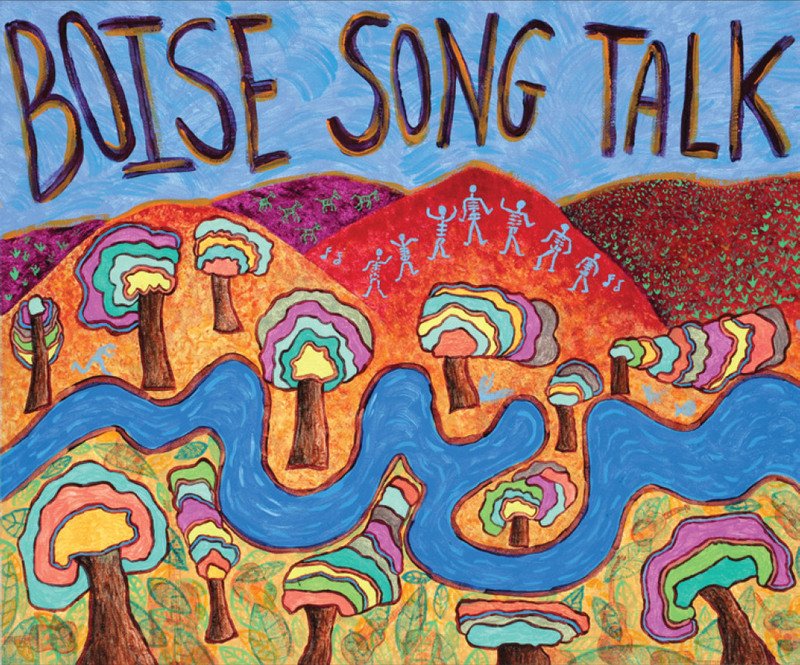 But after watching the three that feature James, Lynae and Ward, Boise Song Talk begins to take a more well-rounded shape. Smith is the first to admit that the production quality is a little rough–the stage no fancier than the basements and garages where the first cable-access TV shows were taped many years ago. But Smith and Boise Song Talk does offer a more intimate view of local musicians whose songs many of us are familiar with but whose inspirations we may not have known.